Welcome new aspects of Website Design with a graceful and creative design. A way of expressing products and services with the help of interactive techno-innovative, creative aspects of design, typography and artistic approach for unique scalability of the layered grids of the website. The website becomes attractive by adding vibrant colors to it. Nowadays, Digital imagery has become an important factor in web design. Revolutionary changes in web design led to boost business in a way for a search engine. Nowadays, everyone prefers to use responsive website design that adjusts its screen according to mobiles, laptops, desktops, etc. In this, competitive world more preference is given to interactivity and responsive mobile optimized website. In older days we used to use flashy content that takes more time for loading web page. The website nowadays is more user-friendly takes less time to load more interactive with catchy looks and pivoted animations having equilibrium effect. In recent days layout adjusts itself according to the device which we use, called as Responsive Website Designing. Websites that are simple in visual design have more ratings on Google search engines. Every business is nowadays following rule simplicity at its best that is well in design and effects. Why are colors important in Website Design? Colors are the symbols that signify one’s life. They have premium effective meaning, for example, green color symbolizes the color of earth, the color of the environment, red color symbolizes danger, and white color symbolizes peace. Colors are most important factors while designing a website. It can draw attention, set a mood, influence users emotions, perceptions, and actions. Designers use vibrant colors to allow users attention to essential elements and make their design. Vibrant colors used at the forefront which makes website energized with a frictional boost. Why do we use videos and images in a Website Designing? It’s clear that twenty billions of people watch YouTube videos every day. Videos are added to a website so that it can show the products and services that are offered by the company. Videos have an optimistic reach. Nowadays the website is incomplete without an interactive video. Images make a website more readable, they make the website clearer and understandably so, that conversion takes place. Those Images with 3D designs have scope in the market. Nowadays simplistic designed images have more importance. Images convey a realistic message to the prominent gearstick. 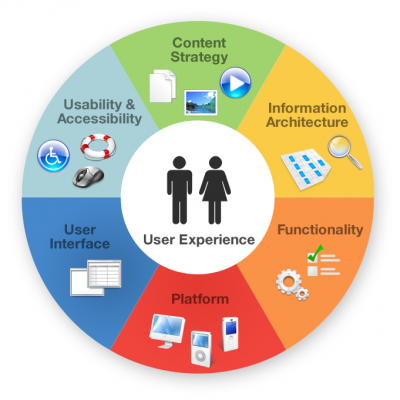 User Experience has become the key to identify a software industry as they are rich in design have a high human-computer interaction (HCI) that addresses at all aspects of products and services perceived by the users. Effective web design creates a swamping, mysterious creative layout, telling a compelling story and serving what user wants to see. When enhancing the user experience, that is important for a designer to fit themselves in shoes. Enhancement makes it easier for the user to identify the website content. It also helps the website to establish shortcuts and accelerators. If a website is pretty in appearance but no one able to see it, this isn’t effective. A good website attracts the visitors and converts them into their customers. 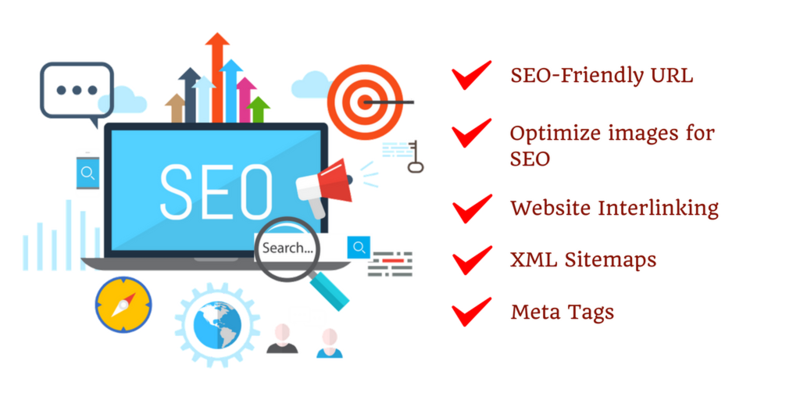 For this reason, B2B and B2C web design follow SEO best practices. To size pictures for better load time. Internal linking to keep users engage and on the site. Properly, labeling images for search engines and users. That is all about website designing practices in 2018 which you have to take into consideration while building and designing your website. The simplifying layout makes your website trendier in look and content. Vibrant color schemes make website mysterious and glittery in look. 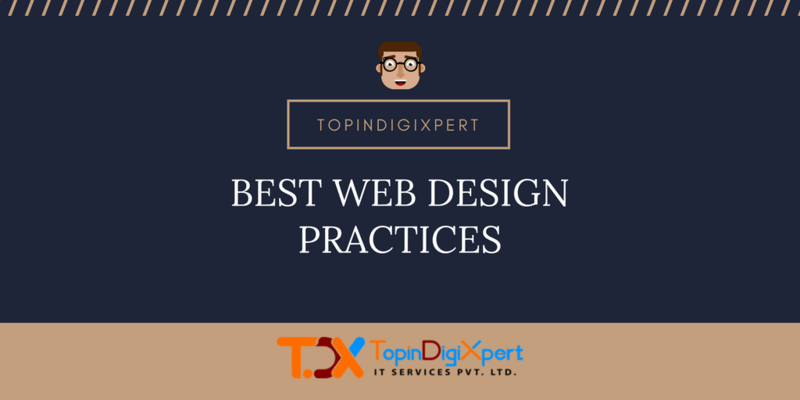 That is all about best website designing practices, consider these while creating the website.